Let’s take a look at some decks this weekend from Grand Prix Indianapolis that are somewhat different than what we’ve seen before. I like taking a look at decks that are up-and-comers, and taking a look at the decks that made the Top 8 of a Grand Prix are definitely worth considering to see if they are the newest decks on the block that will continue to see success in Standard. So it looks like there is now a legitimate reason that this former bulk rare has reached new heights. While the previous high of $5.50 has now lowered to $4, we might see another spike of Hardened Scales in the near future based on last weekend’s performance. Of course, it is going to be very short lived since HS is from Khans of Tarkir, which is coming closer and closer to rotation. I would advise that any extra copies be sold into the hype – and then later on, when Hardened Scales rotates, you can pick up copies again because this card is mini Doubling Season and I expect it to have casual appeal for a long time. Other cards from the deck worth talking about are Managorger Hydra and Avatar of the Resolute, along with Dromoka’s Command and Hangarback Walker. The position of these cards will be different moving forward because they all survive the next rotation when Shadows over Innistrad is released. Now granted, I highly doubt we’re getting anything insane with this next return to Innistrad like Snapcaster Mage or Liliana of the Veil but I think we’re definitely getting a Werewolf legendary creature (since last time Wizards admitted that was one of their biggest mistakes with Innistrad and Dark Ascension was not having a R/G legendary werewolf to complete the tribe like Olivia Voldaren did for Vampires and Grimgrin, Corpse-Born did for Zombies) and other green components that the deck could consider. Anyways, with Managorger Hydra and Avatar of the Resolute, I’m not sure what their position will be after rotation. They both feel like they only fit into a deck where Hardened Scales is the key card, and with HS rotating I’m not sure if they will be able to continue to make the cut. Hopefully though, Shadows will introduce something that also plays nicely with +1/+1 counters since that seems to be a thing that Wizards supports pretty heavily these days – especially in terms of Limited environments where plenty of set mechanics revolve around +1/+1 counters. I am seeing that both cards are trending upwards, and a continuation of Hardened Scales success with the potential printing of another static effect that plays well with +1/+1 counters may create a bright future for these cards. Hold on to any copies you might have, with possibly stocking extra copies of Avatar since it is the cheaper of the two options (both dollar-wise and mana cost-wise). This deck seems to be rather new to the scene, as opposed to other decks like Hardened Scales being around but not seeing as many Top 8 results as the other Standard archetypes like Jeskai Black. 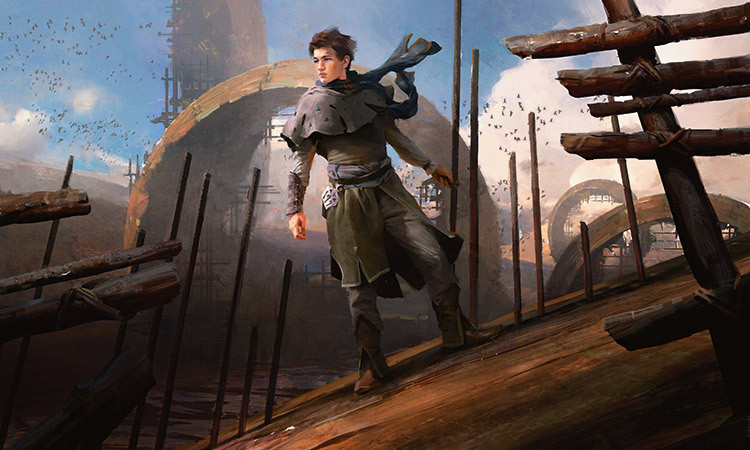 The key cards to the Esper Tokens strategy are Secure the Wastes, Sorin, Solemn Visitor, and Gideon, Ally of Zendikar. Knight of the White Orchid is an interesting inclusion from Origins that we should watch moving forward, since it will survive rotation along with Secure the Wastes and Gideon. Finally, last mentions from this strategy include Painful Truths and Shambling Vent, with Vent seeing a full four copies being played in the manabase. Speaking of which, the Battle for Zendikar manlands are super cheap right now. With Shambling Vent at $6 and Lumbering Falls at a paltry $2.50, I don’t think you can go wrong by starting to stock up on extra copies of these cards. We haven’t reached the low point of BFZ cards yet since set redemption will need to occur, however man lands have generally been very successful in Standard decks past due to their ability to both fix mana and become creatures in a pinch when needed. I think that the five man lands throughout the BFZ block will all see Standard play in one form or another in their Standard lives, so the adage of “invest in real estate” really rings true to me for this cycle. Unfortunately, cards like Wingmate Roc and Sorin aren’t worth picking up since their rotation is coming up in a short five months. We might see some more movement in these cards from the GP results, so my advice here is to sell into any hype that the cards might see since the coming months are only going to lower the price of these mythics until Khans rotation. Finally! 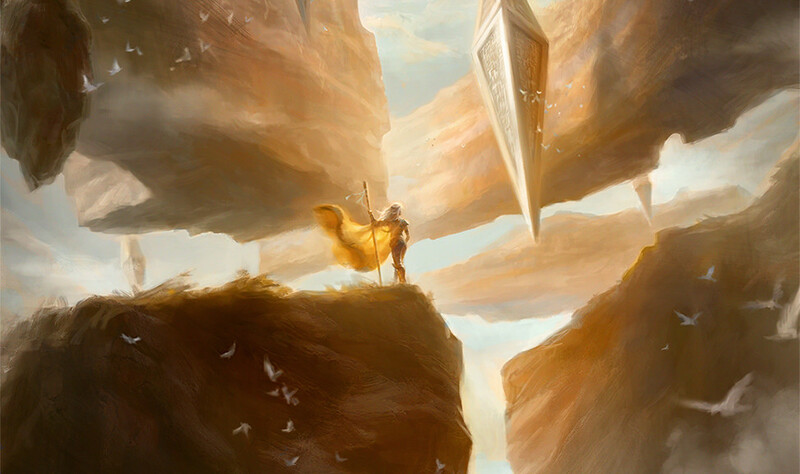 We have a deck that is based off Battle for Zendikar rather than the other way around! Oh wait, there are still only nine cards in the deck that are actually from BFZ… Hey, I guess we need to start somewhere, right? I have to admit that I did not see Snapping Gnarlid actually having Standard potential. However, I’ve been proven wrong in this case, as both Scythe Leopard and Snapping Gnarlid were key components of the deck that was able to propel it into the Top 8 of the Grand Prix. Outside of the Landfall creatures, the deck focuses on pump spells and haste creatures in order to finish out games quickly. This deck is truly a Stompy deck to the core – play some creatures, attack with them, and pump them up as much as possible for maximum damage. It has a much different feel than Atarka Red because rather than burn spells the deck focuses on cheap creatures with pump effects. It’s actually a very interesting deck that rewards players for being able to maximize the number of triggers they can make through Landfall and Prowess, with pump spells to push in the last bit of damage. 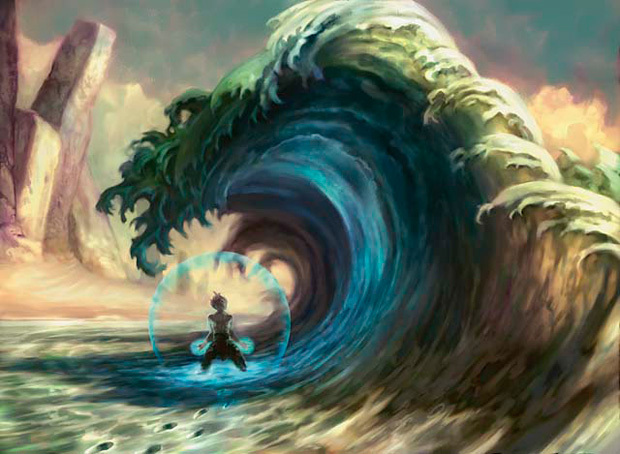 Unfortunately, many of the deck’s pump spells are rotating when Shadows over Innistrad is released, with the key cards Become Immense and Temur Battle Rage among them. I don’t think I would expect this deck to survive rotation unless Oath and Shadows give use something that is similar. You never know though, Steppe Lynx was pretty awesome when it was in Standard, and I expect Wizards to push Landfall even more in Oath. One way or another the Landfall creatures are sticking around. The issue is what type of pump spells are released with the next sets, so I’ll be keeping a close eye on new pump spells due to the explosive nature of Landfall aggro decks. 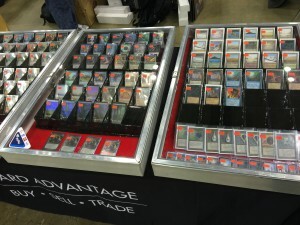 These three decks were the most interesting, at least to me, of the Top 8 of GP Indianapolis. I’m starting to get excited again for the future directions that Standard could take! Thanks for reading and let me know in the comments what decks you’ve seen take off since BFZ was introduced to Standard. Sure, the holidays aren’t on us yet, but now is the season, now is the time. We wait all year for this time to come around, and it’s finally here. Months and months of work, for this moment. I know the most exciting part of any Magic column is when you get to pull out the history books. But bear with me, I promise it’s worth it. And hey, it’s a visual lesson! P.S. On the subject of Standard, I set off quite the internet discussion this week with this video. Take a few minutes to watch it if you’re interested, and I would love any feedback. Thanks! Alright, alright. Pro Tour Battle for Zendikar is in the books. The new Standard format is here, we know what it looks like, and people want to play. What’s the real price of entering the format?